This week stitch is the double V stitch. I personally found it similar with the V stitch. 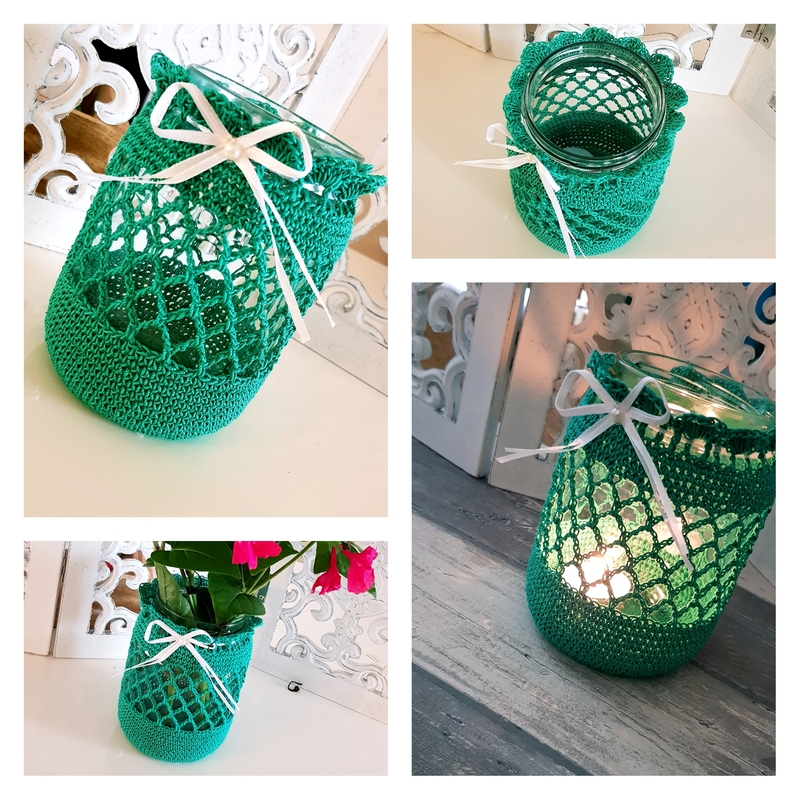 Looks very nice and is perfect for this season projects. So I hope it will inspire you. In my research for crochet stitches I found this one and I just love it. So simple and so beautiful. As I saw it came in to my mind a lot of things that I can do with this double V stitch. Then I knew that it will be my next stitch of the week post. I hope you will love too. You will see that is very easy too. The rows are similar but I said in this pattern it will be 2 rows repeat because the beginning and the end are different. 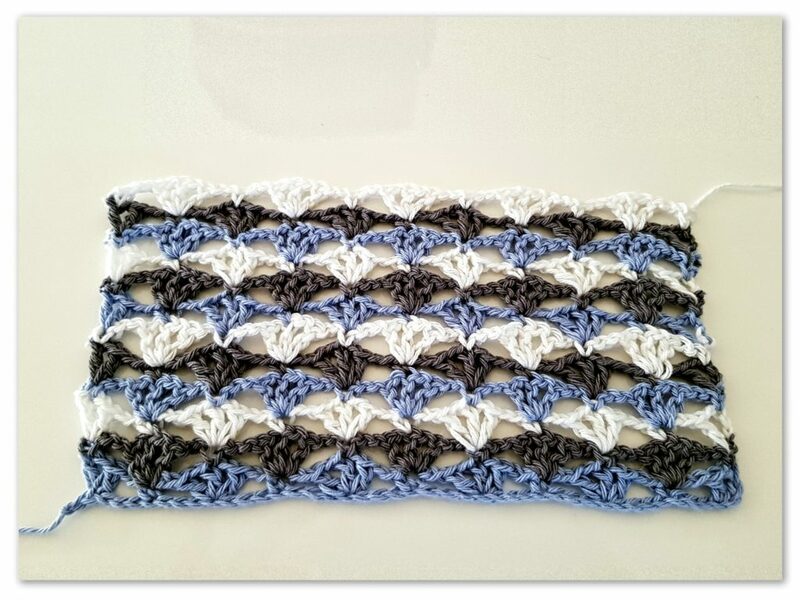 The main motif looks like a double V, with 3 double crochet. 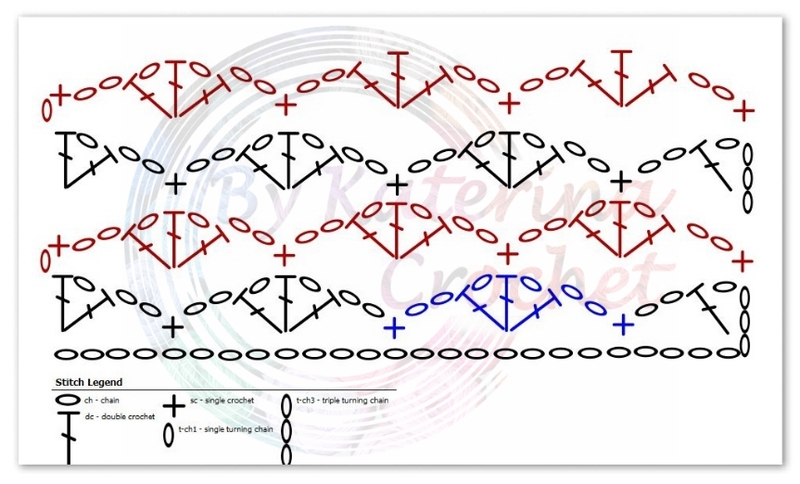 To begin chain a multiple of 8+1 and you will have to add 3 turning chain and one separation chain. So after you chained the 8+1 add 4 more chain sts. 1 sc in 1 st st, ch 2, [(1 dc, ch 1, 1 dc, ch 1, 1 dc) on the top of the next sc, [ch 2, 1 sc in the middle dc of the 3 from the previous row, ch 2, (1 dc, ch 1, 1 dc, ch 1, 1 dc) on the top of the next sc , ch 2]. Repeat the section between [ ] to the end of the row, ending with 1 sc in the 3rd st of the turning chain. Ch 4 and turn. 1 dc in the first st, ch 2, 1 sc in the middle dc of the 3 from the previous row, [ ch 2, (1 dc, ch 1, 1 dc, ch 1, 1 dc) on the top of the next sc, ch 2, 1 sc in the middle dc of the 3 from the previous row, ch 2 ]. Repeat the section between [ ] to the end of the row ending with (1 dc, ch 1, 1 dc) on the top of the last sc. Ch 1 and turn. To continue, just repeat rows 2 and 3. You can change colors with each row as I made in my sample or you can work with a single color. It will be pretty as well. Bellow you will find the video tutorial with this stitch. 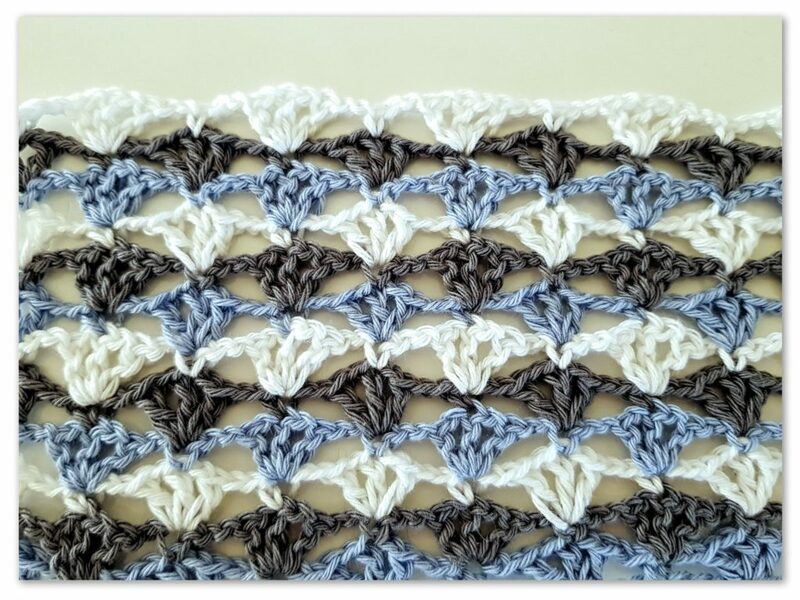 Follow my Crochet Library on Pinterest to learn other crochet stitches. If you loved this pattern save it for later.